They say there is nothing quite like the magic of the cup and in many respects that is true. 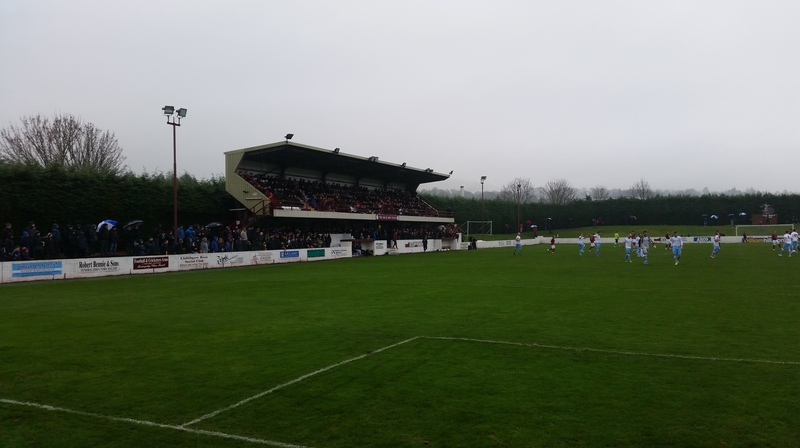 In junior football at least, a great cup run can have a galvanising spirit not only on the club but the surrounding community too, with crowds gradually swelling as the rounds progress. For the supporter there are a few reasons that make cup football just that little bit special and it continues to baffle me that in the Premier League managers and owners seem happy with a 12th place finish and spending the last few weeks of the season mindlessly plodding along in the hope that fundamentally achieving nothing amounts to something. The first reason, is the chance of something a bit different. There’s an old adage that familiarity brings contempt and in Scottish senior football in particular, where most teams play each other a minimum of 4 time a season, the change of drawing anyone outside of your league adds a certain level of excitement. 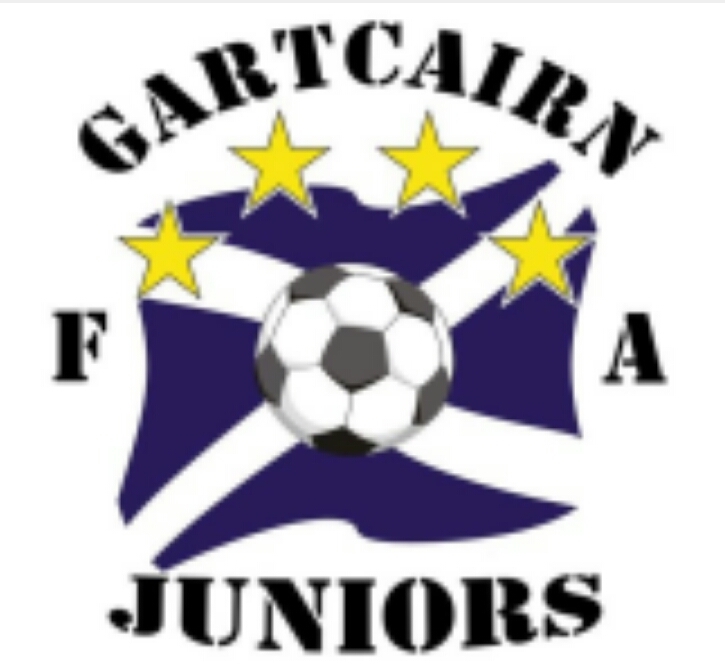 In junior football, where the leagues are regionalised, there is no other competition other than the Scottish Junior Cup that could see teams traverse the country in the pursuit of glory from Burghead to Girvan and everywhere in between. This brings us to reason number two, the away day. Now for some fans the cup draw should bring an endless run of home fixtures against teams they could easily dispatch. 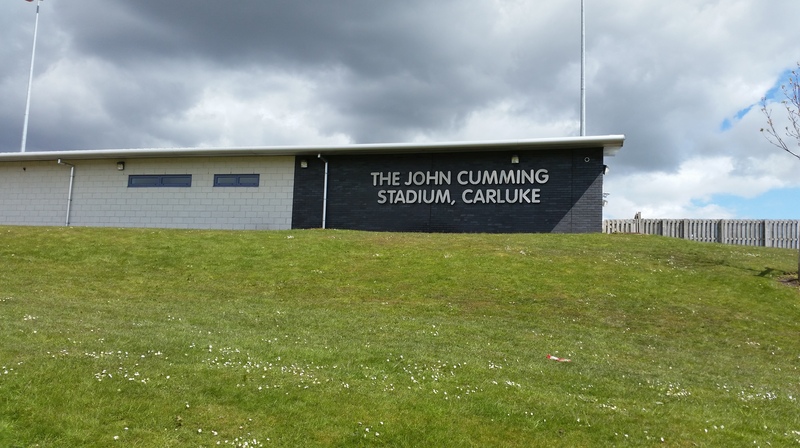 That for me is the ultimate disappointment and as far as the cup goes I’d take a 4 hour coach ride north over a walk round the corner on Scottish Cup day, new ground, new places and of course, new pies. Pollok’s away tie to Rossvale was somewhere in between, a fairly regularly drawn foe from a lower division that was just a short 15 minutes’ drive from my Southside home. Luckily for me though, I hadn’t yet sampled a pie and so with gusto to Springburn I headed. Price: A second consecutive junior scotch pie at just one pound. Bargain. Presentation: So I’m going to do a bit of assumption making here. When I arrived at Petershill Park I was interested to observe a fairly frustrated looking Burger Van vendor at the bottom of the quite substantial hill the pitch sits on. On entry to the ground it became apparent that nobody was holding a Bovril, or soup, or even worse a pie. 15 minutes later and the polystyrene cups and what looked like bags of pick’n’mix started to appear. Knowing that this could be my chance I headed over to a now open kiosk within the ground where two woman were bringing in crates of pies. Why’s this story significant? Because when you were served your pastry it came, not in a tin foil case or adorned with a white napkin but instead in a small white paper poke. I suspect some quick thinking had occurred and if so kudos has to be given in resolving the issue so quickly. Meatiness: Sometimes you can wax lyrically about the filling of a pie, other times you have to accept what you have been given is a perfectly good and tasty meat filled pastry product. The texture of the mince, spot on. The pepper kick, gentle and lingering. The grease, enough to be moist without a fatty flow creeping down your palm. This was not ground breaking but it was everything a scotch pie should be. Pastry: Crisp and well baked throughout, sturdy enough to hold the filling during each bite. There was a golden tinge along the top edges and although the top was a little loose this in some way helped to cool the pie on its removal from the bag. Solid job. Brown Sauce: A wee sachet of the same brown sauce that I get in the work, completely irrelevant but entirely truthful factoid there for you. Overall: Everything you’d expect from a scotch pie, meaty, little peppery and didn’t fall apart at the seams. I am however left with but one question as to whether the pie came from McGhee’s since the well-known Glasgow bakery is one of Rossvale’s principle sponsors. Gravy Factor: Would go well with chips and beans. A solid effort from Rossvale, and an example of how keeping a scotch pie simple can sometimes be the best thing. In an effort to expand my repertoire my next offering will be a Portuguese Football Scran Special focusing on the match day treats consumed during my trip to Lisbon where I took in Benfica v Rio Ave. I put it to you whether this was something that you were interested in and the unanimous feedback from Instagram and a strong favourable rating on Twitter means that this will be the first time I have written about non pie things on this site. However until then, go forth and eat pie. 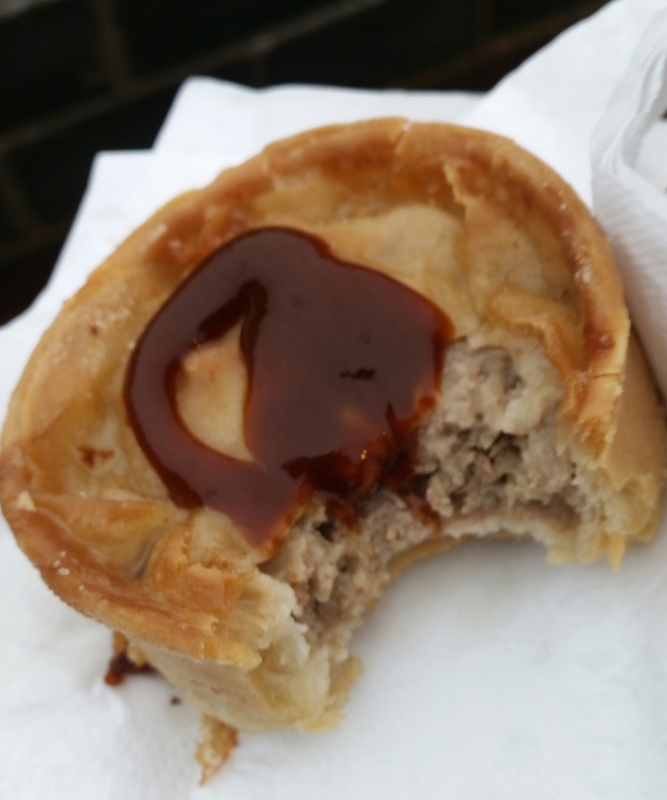 This entry was posted in Football Pies, Junior Pies, Sporting Pies, The Life of Pie and tagged brown sauce, fitbaw, Football, hp, meat filled pastries, pastry, Pie, pollok, rossvale, scotch pie, scottish football, scottish junior cup. You know who doesn’t get enough credit? Lower League pie stall workers. Welcome to another edition of Meat Filled Pastries as we get back on more familiar ground with a Scotch Pie from Clydebank FC, more of that in a moment, but first an open declaration of thanks to those men, woman and children who forego any desire to take up a hobby or actually watch a game of football and instead spend their Saturday afternoons helping to feed a few hundred or so hungry supporters come rain or shine. Often these individuals are friends and family of club staff, roped in one day as a favour but can still be found standing there twenty years later, as integral to the fabric of a football club as the often more heralded kit men and groundskeepers. Without these soldiers, no tongues would be burnt on a roasting hot Bovril and no pie would be on offer to help soak up the hangover or temper the effect of a few away day beverages. To say it was wet on the day of my visit would be an understatement. Despite two pairs of socks and an un-ripped pair of shoes my toes had turned to ice and the rain lashed in fits and starts against the hardy few unwilling or unable to fit under the small shelter on the far side of the ground. I was late, and the crowd was large, so on arrival I headed straight to the freight container doubling as a pie stall behind the main clubhouse to get a pie and some heat. The queue was long and as I stared at the opening where the food and drink were being delivered I was surprised to see just one girl, no more than 16, valiantly dealing with the wet and hungry hoards. She was a whirr of activity juggling pies and teas whilst trying to re-stock a rapidly decreasing sweet and crisp section. Football fans can be brutal in these circumstances, but on this given Saturday, despite the wind and the rain, our heroine was treated with nothing but thanks and support from a group of people who realised they would never want to be the other side of that counter. Clydebank Pie Lassie, I salute you and all your pie providing peers because without you this near 5 year journey of pie based nonsense may have ceased to continue. Thank you. With my pie now safely in hand it was time to get down to some serious business, and so without much further ado, let’s rate some pie! Price: £1. A 12 sided bargain if ever there was one. You could buy 2.7 Clydebank Scotch Pies for the price of one (fairly awful) Queens Park Cheese & Onion Pie. Presentation: Such was the demand for pies at Holm Park that when it came time for me to be presented with my pastry the white napkins were gone and had been replaced with a sheet of floral kitchen roll wrapped around the pie creating the effect of a meaty pass the parcel. There was only going to be one winner though in this game and that was me! 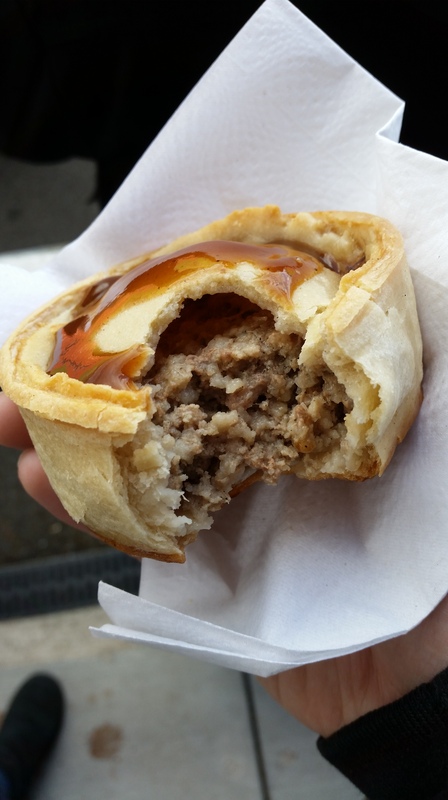 Meatiness: There was something a bit different about this scotch pie. The meat inside was in the form of a fairly solid block more akin to a burger than the more crumbly nature that ground mince usually provides. I’d also say the taste was more predominant in beef than any combination of the former with lamb or mutton. The block texture did mean the pie was filled very well and although the meat itself tasted both meaty and savoury it didn’t have the gentle pepper kick I so often crave. It was definitely worth eating, just not what I was expecting. Pastry: My intrigue continued with the pastry, golden brown and very crisp but not burnt with almost a biscuit texture to it which did make the pastry come away in small shards as I chewed. It was certainly sturdy enough to hold the meaty goodness within, something that I was thankful for as I juggled the pie and my umbrella between my hands whilst trying to grab a bite. Brown Sauce: HP. The best kind, although due to the rain far more copious an amount than I would usually aim for. Overall: This pie did the job of filling the hole that a lack of breakfast provided but I have an inkling that the pie source may not be that of a butcher or baker. That said, in today’s football food climate a quid for a pie is nothing to be sniffed at. So that’s another review in the books, and speaking of books, I have a genuine ambition to finally nail down something that marries this journey of pie with my adventures in the world of football. I have a couple of concepts down but they need some fine tuning and a heavy dose of planning on my part so we’ll see how that goes but until next time, go forth & eat pie! 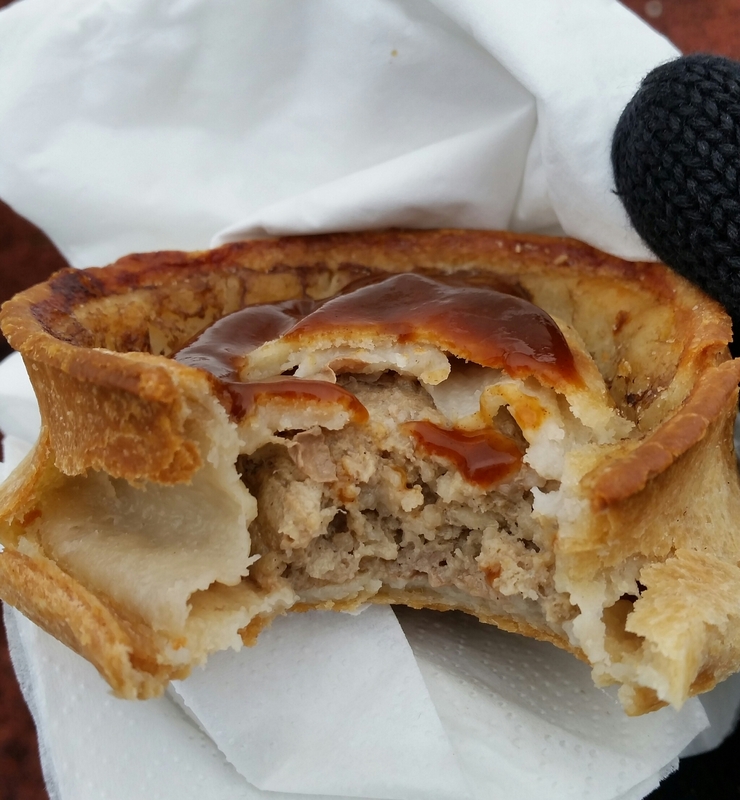 This entry was posted in Football Pies, Junior Pies, Non League Pies, Sporting Pies, The Life of Pie and tagged bankies, brown sauce, clydebank, fitbaw, Football, Juniors, lok, meat filled pastries, pastry, Pie, pollok, scotch pie, scottish footbal.